Since women are still heavily underrepresented in the startup world, we think it’s time to shed some light on all those amazing female entrepreneurs and investors out there! 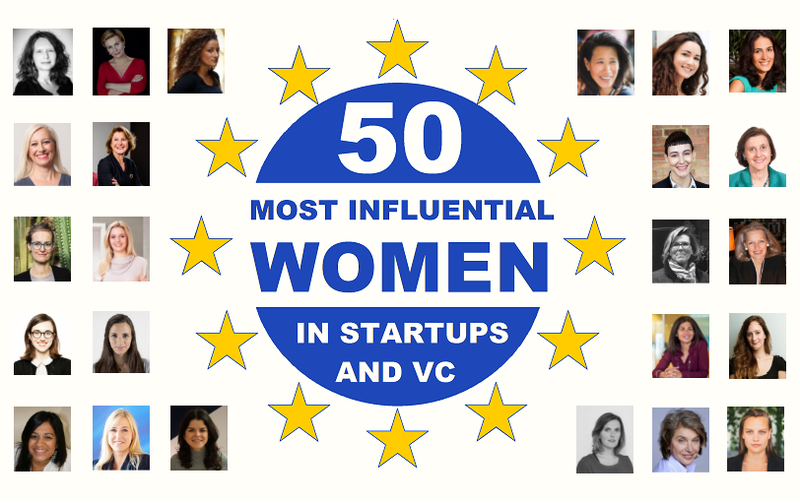 That being said, we’re happy to announce that we just completed the 2018 edition of our annual overview regarding Europe’s most influential women in the startup / VC world. In total we screened more than 200 potential nominees and did our best to narrow this list down to 50. If you have a suggestion about who we should make sure to include in next year’s edition, please comment below this article. 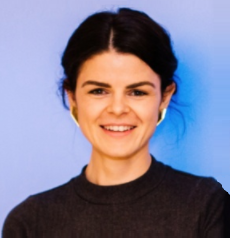 Alice Bentinck is a London-based entrepreneur who co-founded Entrepreneur First, one of the world’s leading company builders, as well as Code First:Girls, a free part-time course for female students. Alice Zagury is the co-founder and CEO of The Family, a Paris-based startup accelerator with the mission to empower entrepreneurs in their quest for a repeatable, scalable and profitable business model. Alisée de Tonnac is a Swiss entrepreneur who co-founded Seedstars World, a global startup competition covering 65+ emerging and developing markets. Alisée now serves as Seedstar World’s CEO. Alix de Sagazan is the Paris-based co-founder of AB Tasty – a leading European optimization platform for e-marketers which enables them to modify their website without technical knowledge through AB Testing & personalization. Avid Larizadeh Duggan is a London-based entrepreneur who co-founded Bottica.com, an online luxury bazaar of fashion accessories, and is now General Partner at Google Ventures. Brigitte Baumann is the Founder and CEO of Go Beyond Early Stage Investing. 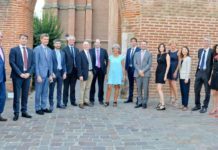 In 2015 EBAN (the European Business Angel Network) named her European Investor of the Year. Born in France, Brigitte and her family live in Zurich. Candace Johnson is a serial entrepreneur and co-founded organizations like SES and Europe Online Investments. She is also an active investor and serves as president of EBAN (the European Business Angel Network). Celine Lazorthes is the Paris-based founder and CEO of the FinTech success story Leetchi Group – which includes Leetchi.com, an online money pot (+5M users), and MANGOPAY, the disruptive B2B payment solution. 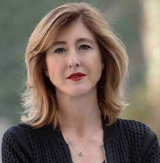 Colette Ballou is the founder of Ballou PR, a European public relations agency that works with high-growth technology and technology-enabled companies, as well as technology investors. Corinne Vigreux is a Dutch entrepreneur and co-founded TomTom. As a leader of one of the few consumer electronic companies from Europe to become a global brand in the recent history, she is a champion of European innovation. Delia Fischer is a Munich-based entrepreneur who co-founded Westwing, a leading online platform for interior design products. Westwing raised more than $200 million in funding, did an IPO, and Delia serves as Managing Director. Diva Tommei is an Italian entrepreneur who co-founded Solenica and runs the company now as CEO. Solenica builds smart natural lighting systems with an Italian design that are beautiful, affordable and easy-to-use. Dörte Höppner is the former CEO of Invest Europe and represented Europe’s private equity & venture capital sector. Today, she’s the COO of the Riverside Europe Fund, which invests in growing businesses valued at up to $400 million. Eileen Burbidge is Partner at Passion Capital, one of Europe’s leading early-stage technology VC firms, which is based in London. Eileen is also a member of the advisory group of the UK’s Prime Minister. Elizabeth Varley is the founder and CEO of TechHub. The global tech startup community is headquartered in the UK, and operates TechHubs in seven cities around the world. Fausta Pavesio is a Milan-based entrepreneur, board member and advisor who was named IBAN Business Angel of the Year 2015. 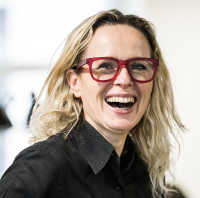 In addition, Fausta is the Independent Director of the coworking space Talent Garden Milano. Ida Tin is the co-founder and CEO of Clue, the world’s fastest growing female health app. Berlin-based Clue helps you understand your cycle so you can discover how to live a full and healthy life. Jessica Butcher is the London-based co-founder and Director of Blippar – the world’s leading visual browser, harnessing augmented reality and image-recognition technology. 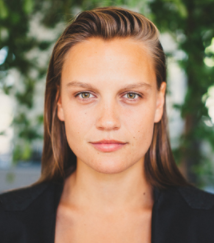 Jessica Stark is a co-Founder and board member of SUP 46, Sweden’s startup hub and membership-based community. She’s also the CEO of StyrelseAkademi, Sweden’s leading forum for the professional development of board members. 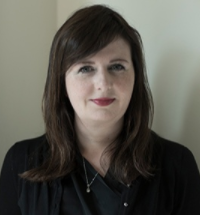 Judith Clegg is the founder & CEO of London and New York based innovation and strategy consultancy Takeout. She’s also an investor and advisor in a range of startups including True Office, Onalytica, NSFWcorp and Sofarsounds. Julia Bösch is the founder and CEO of Outfittery. 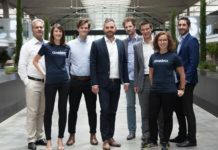 The Berlin-based company, one of Europe’s leading e-commerce startups which aims to revolutionize the shopping experience for men. Justine Roberts is a London-based entrepreneur and the CEO of Mumsnet, the UK’s most popular parenting website, and Gransnet, a sister site dedicated to the over-50s. Kaidi Ruusalepp is the founder and CEO of Funderbeam, a marketplace where startups get funded and traded across borders. Estonia-based Funderbeam combines startup analytics, investing and trading on the secondary market. 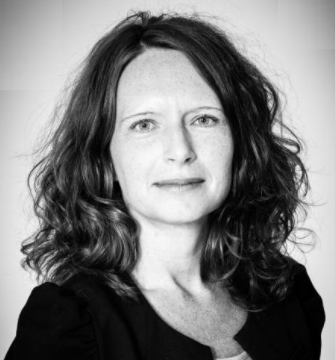 Karen Boers is the co-founder and Managing Director of Startups.be – a unique organization which supports startups in Belgium. Karen is also a board member and former CEO of the European Startup Network. Karoli Hindriks is an Estonian entrepreneur who founded her first startup at the age of 16. Today she’s the CEO of Jobbatical – a platform where global employers borrow the skills of techies and creatives. Kinga Stanislawska is the founder and Managing Partner of the Warsaw-based Venture Capital firm Experior Venture Fund, which manages PLN 80 million and has made 16 investments to date. Laura Kohler is the founder and CEO of European Innovation Hub, which aims to grow tech startups in Europe and beyond. The European Innovation Hub also connects corporates with startups driving their innovation strategy. 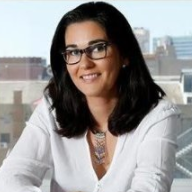 Laura Urquizu is the CEO at Red Points, a company dedicated to bring innovation to IP protection in the internet. Laura leads the Barcelona-based company from the early days, she joined the initial founding team in 2014. Lea-Sophie Cramer is the founder and Managing Director of Berlin-based Amorelie – a fashionable online-shop for your love life. Before Amorelie, Lea-Sophie served as VP International at Rocket Internet and Groupon. Madeleine Gummer v. Mohl is the co-founder and CEO of Betahaus, a coworking space with offices in spaces in Berlin, Hamburg, Sofia and Barcelona. Madeleine is also the co-founder of the accelerator Hardware.co. Mar Alarcon Batlle is the founder and CEO of SocialCar.com, a leading peer to peer car rental company (P2P carsharing) operating in Spain. She’s also a board member of Barcelona Tech City, Adigital and a mentor at Conector Accelerator. Marie Helene Ametsreiter is a Partner at the Vienna-based VC firm Speedinvest. She’s also part of the TV show “2 Minuten 2 Millionen“, the Austrian version of Shark Tank. Maria Pennanen is the CEO of the crypto/blockchain startup Santiment and Co-founder of Accelerator Frankfurt. With over 20 years of entrepreneurship experience, Maria already has advised over a hundred startups. Martha Lane Fox is a London-based serial entrepreneur who co-founded companies and organizations like lastminute.com, Lucky Voice, Antigone, Go On UK, and Doteveryone. Mette Lykke is the co-founder of Endomondo – a super successful social fitness community based on free real-time GPS tracking of running. Since the acquisition by Under Armour, Mette now serves as VP International. 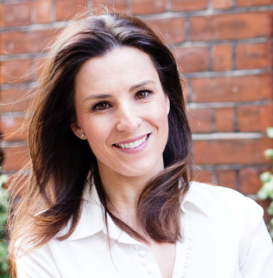 Nancy Cruickshank is a London-based entrepreneur who founded MyShowcase, a personal beauty shopping service, helping clients to discover and try tailored makeup, skincare, bodycare and haircare recommendations. Natalie Massenet founded Net-a-Porter back in 2000 in London as a website in magazine format for selling designer fashion. Today, Net-a-Porter employs over 3,000 people around the globe. Nathalie Gaveau is a London-based entrepreneur who co-founded Priceminister (sold to Rakuten for $250M). Now she’s the co-founder & CEO of Shopcade, the style cheat sheet that keeps you updated on fashion celebs. Nicola McClafferty joined Draper Esprit as Investment Director in 2017. Before that, she was the Co-founder and CEO of the online marketplace Covetique, and prior to that, Nicola was an investor at Ravensbeck and Balderton Capital. Paola Bonomo is an Italian angel investor who previously served as Member of eBay’s European leadership team, led the online business of Italy’s largest financial newspaper, and worked as Marketing Solutions Director at Facebook. Raffaela Rein is the founder and CEO of CareerFoundry, a Berlin-based startup which today is Europe’s leading online education destination, training the next generation of technical talent and digital leaders. Reshma Sohoni is a co-founder and Partner of Seedcamp, a London-based organization which describes itself as ‘Europe’s seed fund’ – identifying and investing early in world-class founders attacking large global markets. Roxanne Varza is the Director of the Paris-based Station F project, which set out to become the largest startup campus worldwide. Prior to her current role, Roxanne was the lead for Microsoft’s startup activities in France. Sarah Wood is the co-founder and former CEO of Unruly. 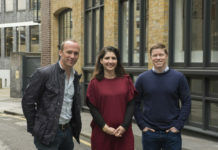 The London-based company gets videos seen, shared and loved across the open web for brands that want to move people, not just reach people. Sherry Coutu lives in London and is a former CEO and angel investor who serves on the boards of several organizations, chairs Founders4Schools and is a Non-Executive Director of Zoopla and the London Stock Exchange Group. Sissel Hansen is a young Danish entrepreneur who founded Startup Everywhere, the publishing company behind the awesome ‘Startup Guide’ book series, often described as the Lonely Planet for startups. Sonali De Rycker joined the venture capital firm Accel Partners in 2008 and today helps lead the London office as Partner. Sonali serves as board member at companies like Wallapop, Calastone and IAC. Steffi Czerny is the co-founder and Managing Director of DLD, one of the world’s most exclusive events for topics like digital life, future design and entrepreneurship. Steffi and her company DLD Media are based in Munich. Stephanie Hospital is the founder of One Ragtime, a global technology investment fund and advisory. Prior to this, she was a Executive Vice President of Orange Digital and served as a board member at Dailymotion. Tanja Kufner today is the Partner & Head of dynamics.vc. Before that, she served as Managing Director of Startupbootcamp Berlin, and of Rainmaking Innovation. Prior to this, Tanja was Country Manager Germany for Wayra. Please note that Mette Lykke is now CEO of “too good to go”. 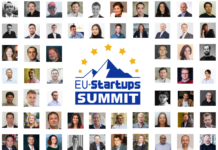 Anne Glover, co-founder and CEO of Amadeus Capital Partners for 21 years, one of the longest-standing and best known senior professionals in VC, and very active with EU policy initiatives such as VentureEU! Carina Namih is a Partner at Episode1 Ventures, where she invests across the latest trends in: health technology, computational biology, AI, VR, blockchain and robotics. She spent 5 years in Silicon Valley, where she founded HelixNano with a team from MIT – applying AI to genetic data. She sits on the curatorial committee of the ScienceGallery in London. 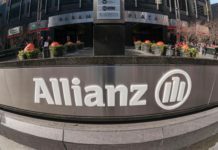 Previously, she was an Entrepreneur-in-Residence at Johnson&Johnson Innovation and an M&A advisor with Goldman Sachs.